Phono Learning Center (PLC) is not “just” another articulation app. PLC is based on the evidence-based Cycles technique used specifically for those children who are unintelligible due to a sound-system disorder. 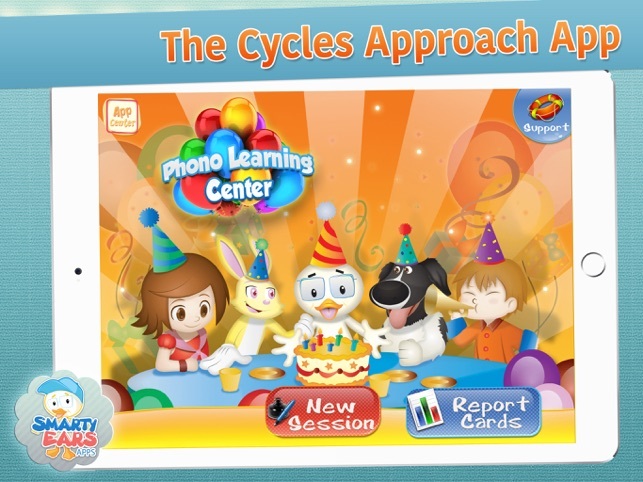 Developed and designed by a certified speech-language pathologist trained in Cycles, PLC is a multi-player app that is colorful, fun, and easily adapted to fit cycles or a traditional therapy approach. PLC was designed to assist in sound production therapy for students who are highly unintelligible. PLC takes into careful consideration the theory behind Cycles and the co-articulation of target words. A hierarchy of primary and secondary targets developed by Barbara W. Hodson (2010) was utilized to determine which patterns and phonemes would be targeted. Because PLC is a multi-user application, it is perfect for group sessions. PLC allows data to be collected on multiple utterances for each student allowing for maximum therapy benefit without losing the ease in data collection. PLC has four game-type activities to encourage active participation. 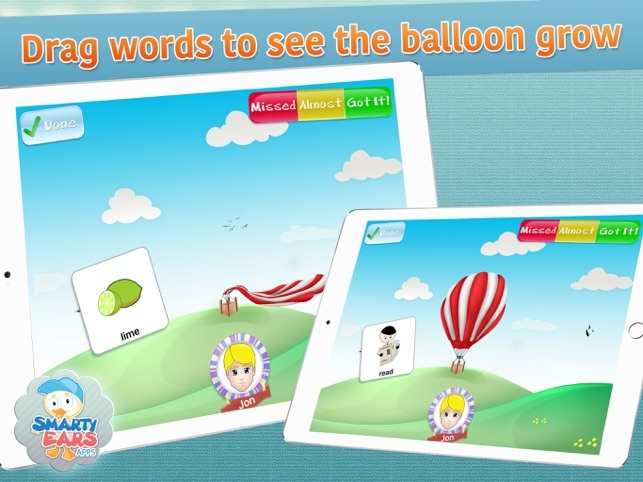 Each activity includes words, carrier phrases, and carrier sentences. 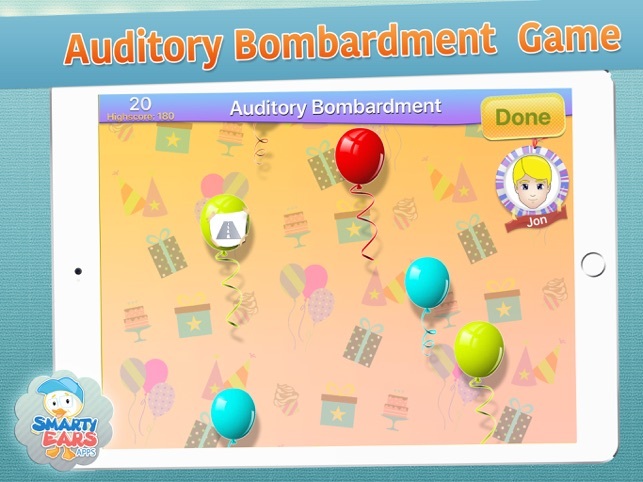 In the auditory bombardment activity, the child pops the balloon with the tap of a finger to hear a target word. 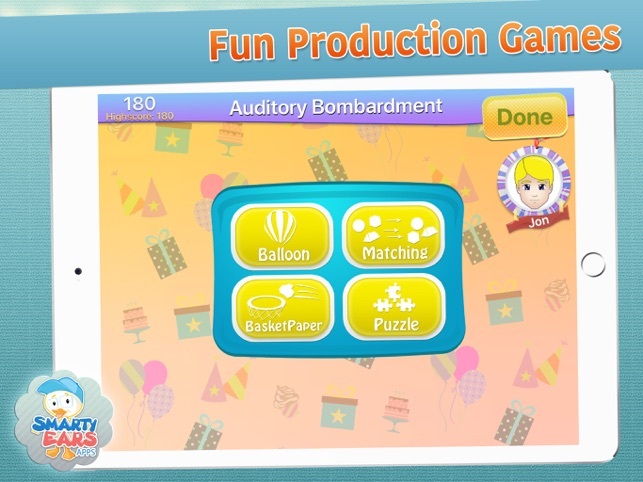 A score is kept to see how many balloons are popped. The matching game is a unique take on memory. With this game, the child is presented with one target picture and must find its mate. Because each picture will stay active until a new card is tapped, this activity provides many opportunities for sound production. 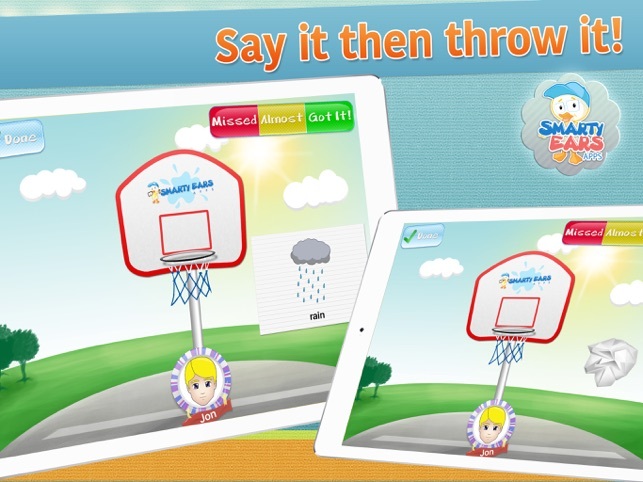 In the basket paper activity, the child has the opportunity to shoot baskets with the target words. The basket is centered on the page with the target word on the side. A simple tap on the paper crumples the picture. A swipe of the finger “shoots” the paper toward the hoop. 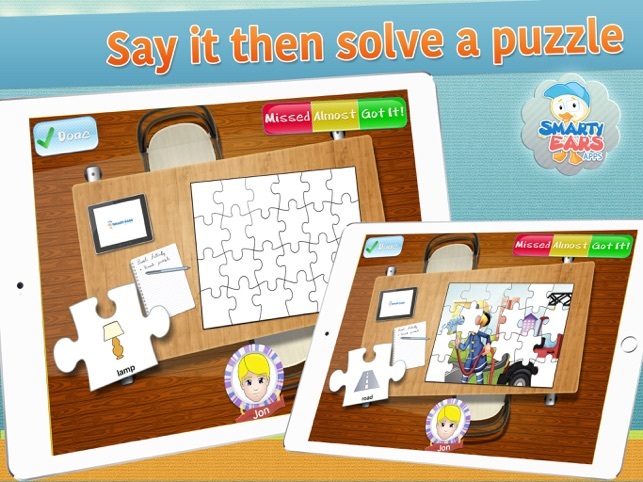 Finally, the puzzle activity provides a greater depth of language and speech production. In this activity, the child is presented with a puzzle piece with a target word/picture on it. The child moves the piece onto the puzzle mat. With each piece, a picture scene is slowly uncovered. Because the picture scene is revealed one puzzle piece at a time, this activity provides an opportunity to include prediction and “wh” questions during speech production. PLC offers two types of data collection. In the Standard scoring style, the correct, almost, missed buttons are displayed on the screen. In the Level of Prompts style, the buttons provided are prompted, imitated, and correct. A simple tap of the button keeps data for each student. PLC provides the opportunity to maximize productions by allowing each word to be scored more than once and each child to say more than one word per turn. 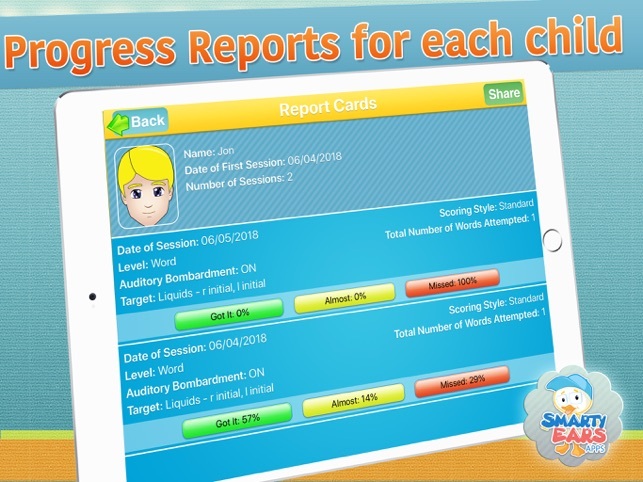 In addition to percent correct, the report tracks which phonemes have been targeted, the scoring method used, whether auditory bombardment was on/off, the total number of sessions, and the total number of words attempted. 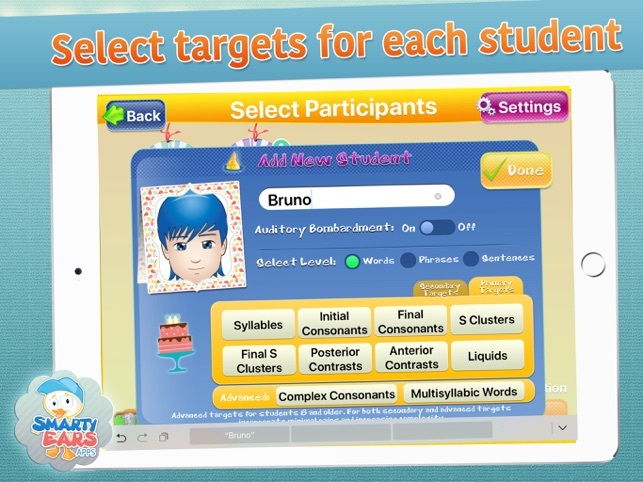 Importing to The Therapy Report Center allows the SLP to have progress monitoring at the swipe of a finger. Love that it targets multiple sounds and processes at multiple levels and begins with auditory bombardment. My patients love the simple games. Well worth the money, this is one of my go to apps! 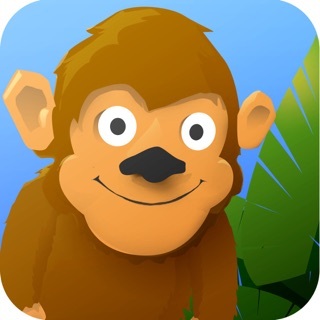 I am a speech pathologist and use this app with my clients 3-5. It is very motivating because it has several different games to play. The matching game really gets you a lot of productions. You do need to train the kids to actually say the word before they play because they can excited to forget. 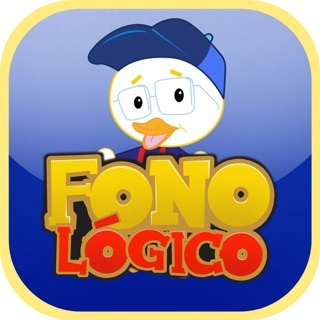 All in al, great app that I use all the time!